Home » Blog » Wood Flooring: Engineered or Solid? Engineered wood flooring is a type of flooring that is made up of multiple layers. The hardwood flooring is constructed by a top layer made from hardwood veneer, which can typically be made from any species of wood. Underneath this is the inner layers, which can be made from hardwood, plywood, or fibreboard to create a much more stable version of typical solid wood. These layers are compressed which forms a rigid, solid, durable surface. This type of flooring is one of the most common types of flooring used today. It is extremely popular due to its ability to withstand all temperatures and humidity without any issues arising. Unlike solid wood flooring, there is no need to fix it down. Instead, it can be lose laid, also known as floated, over your flooring underlay. Read our blog post to have all of your engineered wood flooring questions answered! Engineered wood is made by going through the process of ‘engineering’. This is done to establish a more durable board than solid wood, which is why there is an extra process involved in the making of it. Unlike solid wood flooring which doesn’t need any construction before it is turned into a floorboard, engineered wood does. As already explained, engineered wood is made up of different layers on timber, finish with a top layer of solid wood fused with layers of softer wood under high intensity conditions. By going through this process, the engineered wood floorboard has a lot more durability, preventing it from shrinking or warping when there are any changes in heat and moisture conditions. Engineered wood comes in either multi-ply or three-ply, this describing the amount of layers that are involved in the process of creating the floorboard. Multi-ply is where the engineered wood has additional layers, and therefore has extra stability. This is the highest durability version, so is usually priced higher than three-ply. Three-ply boards still offer an extreme amount of durability, higher than that of normal solid wood, though has less layers than multi-ply. Engineered wood comes in more variations than the amount of layers. This includes: thickness, board length and width, wood species, finish and colour. When selecting your bespoke engineered wood flooring, the choice is yours. Solid wood flooring is made from a single board of real wood flooring, cut into shape, sanded, and finished into a floorboard. The top layer of both engineered and solid wood flooring are exactly the same, with engineered featuring layers underneath and solid being just the one solid wood layer. In terms of appearance, they are pretty much identical. The difference comes into how the wood is constructed, which is what gives engineered flooring stronger durability. For the most part, the two types of wood compare similarly side by side. They both look great, perform well, and are easy to maintain. The key difference in their performance is related to changing temperature environments. As engineered wood only has the top layer, it is not as stable and resistant to heat and moisture as engineered wood is. Under changing heat conditions, solid wood flooring would be extremely likely to shrink or expand due to the changing moisture levels that will either absorb or dry out the wood. Engineering wood, however, can deal with these changes due to the structure, this giving it more stability. This means that engineered wood flooring is more suitable for use in spaces that will experience temperature changes, such as in a conservatory or rooms with underfloor heating. Where Should Each Be Used? Engineered and solid wood flooring can both be used in either homes or commercial spaces. Engineered should always be used over solid in areas where temperatures will fluctuate, though other than this either would be suitable. For areas with high foot traffic go for a lacquered finish for a stronger protection, and an oiled finish for areas with lower levels of foot traffic. At Quicksand Flooring, we have our very own range of engineered bespoke wood flooring. You can fully customise your engineered flooring, choosing the colour, pattern, texture, and finish. Get in touch today for everything you need to know about getting your very own engineered wood flooring. 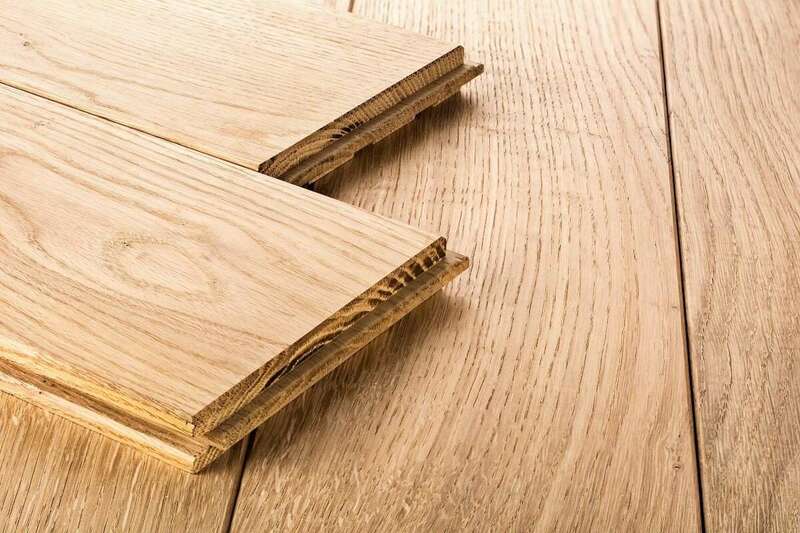 By Daniel Wilson|2019-04-12T09:02:59+01:00April 10th, 2019|Commercial, Domestic|Comments Off on Wood Flooring: Engineered or Solid?